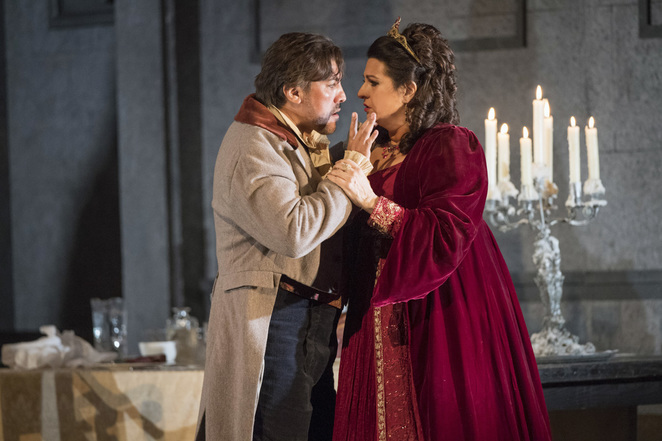 Welsh National Opera's production of Tosca at Birmingham Hippodrome may be more than 20 years old but the company is living up to the adage that when something's not broken why fix it? First staged in 1992, this lavish production designed by Ashley Martin-Davis takes us around Rom,e from the interior of the Sant' Andrea church into the luxury of the Palazzo Farnese and then to the stark rooftop of the Castel Sant' Angelo. Along the way, it tells the story of lovers Floria Tosca and Carlo Cavaradossi, whose brief brush with escaped prisoner Angelotti bring them into conflict with the evil police chief Scarpia. Mark S Doss revels in the role of the dastardly Scarpia. Striding masterfully around the stage, sweeping his cloak around him, tossing his head and smiling wickedly, he just manages to stay the acceptable side of caricature. And this matters because while composer Puccini loved melodrama, it's essential that the audience responds to the black heart of Scarpia and understands the corruption at the heart of power. Claire Rutter is divine as the diva Tosca. She's passionate and loving but, when driven to desperation, has a steely will which sees her murder to save her lover. There's also a sweet naivety about Rutter's Tosca which draws the audience to her. In her jealousy with Cavaradossi she's almost humorous and in her belief that she can triumph over an arch manipulator like Scarpia, there's a belief that somehow good will triumph. And she's also highly capable with the audience-pleasers - Rutter's plea for help to the Virgin Mary Vissi d'arte is a definite show-stopper. Hector Sandoval grasps the role of Cavaradossi with both hands. He's loving with Tosca, defiant with Scarpia and musing as a painter. 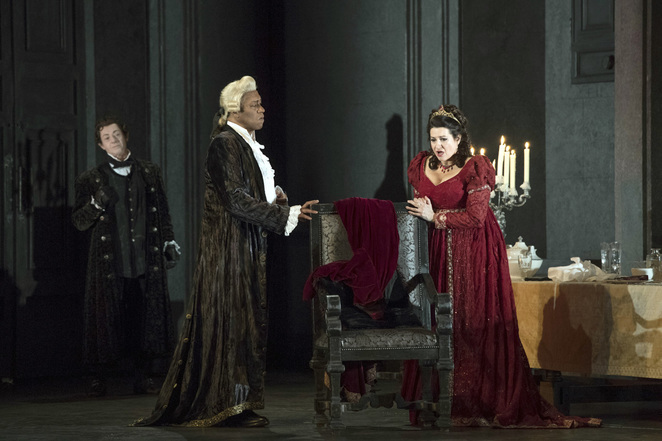 His final aria E lucevan le stelle, in which, during his final hour, he realises he is not only losing his life but also his cherished moments with Tosca, is heart-breaking in its agony. The orchestra of Welsh National Opera under the baton of Carlo Rizzi is faultless in their performance of Puccini's score stressing its drama while also retaining its tenderness. Forming part of the spring Rabble Rousers season, WNO performs Tosca alongside Verdi's La forza del destino and Mozart's Don Giovanni, the UK tour also takes in Southampton Mayflower, Plymouth Theatre Royal, MIlton Keynes Theatre, Bristol Hippodrome and Llandudno's Venue Cymru.